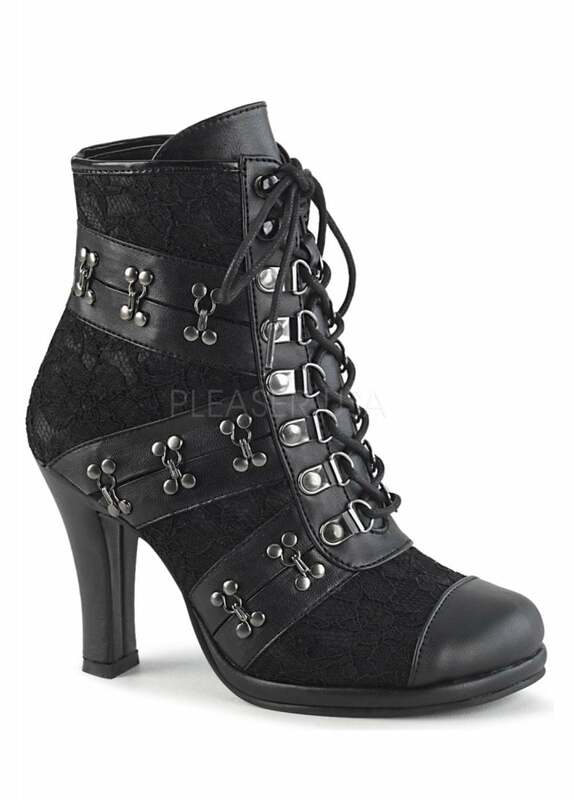 Demonia's Glam 202 Gothic Ankle Boot is a cute little boot with lace up front and inside zip. The alternative boots have a black lace overlay and hook and eye trim on the outer side panel. The boots are vegan leather and have a 3.75" heel.